From building your own lightsaber to meeting some of your favorite characters, Disney World Resorts offer visitors many chances to immerse themselves in the world of Star Wars. If you're planning your trip to Disney World with a Star Wars fan of your own, be sure to check out some of these great attractions, performances, rides, and character appearances. Especially because of the revitalization of the franchise in recent years, you'll likely run into more and more new characters each year you go to Disney World, and the park has even announced plans to expand the Star Wars area of Hollywood Studios. Be sure to check out the official Hollywood Studios website for the most up-to-date information on attractions and performances times and to book your reservations in advance. Fortunately, all of the Star Wars related destinations are centered around this one area of the park, so if you're planning a trip to Disney World Orlando with your Star Wars fan, you won't have to go too far to find something he or she will enjoy. Visit the "Once Upon a Toy" shop in Disney Springs or the "Tatoonie Traders" inside Hollywood Studios (at the exit to the Star Wars ride) and build your very own lightsaber! No Jedi is complete without one, and you can create your own custom design, or make a lightsaber like the one carried by a favorite Star Wars character. No matter what you decide, your little Jedi will be able to take home their own authentic lightsaber replica at a pretty decent price. Younglings who wish to participate in the show should head to Indiana Jones Adventure Outpost in Disney's Hollywood Studios to register as soon as the park opens. Those participating in the exciting Jedi training session will come face to face with Darth Vader and other notorious Star Wars villains. The 20-minute Jedi Training session takes place adjacent to the Star Tours ride, at various times throughout the day. While Disney is promising more characters to come to Star Wars Launch Bay, currently you may run across Chewbacca, Wookiee, Kylo Ren, or a garrison of First Order Stormtroopers who perform the "March of the First Order" daily up Hollywood Boulevard to Center Stage. Also be on the lookout for "BB-8 Astromech on Duty" at Disney's Hollywood Studios' Animation Courtyard, where everyone's favorite new robot puts on performances twice daily. Star Wars Launch Bay (previously Magic of Disney Animation) is Star Wars central at Disney's Hollywood Studios. Step inside to encounter beloved Star Wars characters, explore galleries full of memorabilia and authentic replicas of large-scale Star Wars artifacts, play the latest Star Wars interactive video games, and access Star Wars merchandise. Fasten your seat belt and blast off on a thrilling 3-D tour of the Star Wars galaxy at "Star Tours: The Adventures Continue" in Disney's Hollywood Studios. Your voyage will take you to an amazing alien world where you will come face to face with the likes of Yoda, Chewbacca, or even Darth Vader. 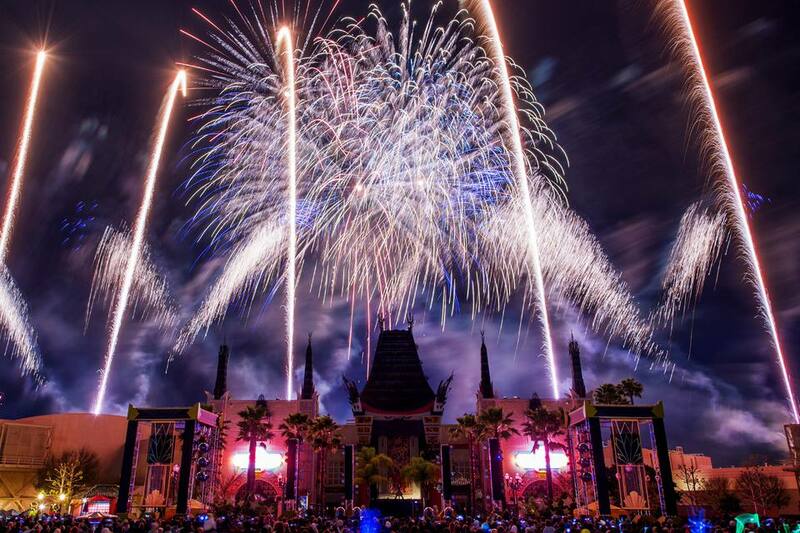 Guests to Disney's Hollywood Studios can end their day at the park with a dazzling out-of-this-world "Star Wars" themed light show set to the sweeping scores of the franchise's films. Combining great scenes from the movies, a spectacular projection-mapped light show, and a dazzling fireworks display into one nightly event, your "Star Wars" fan won't want to miss "Star Wars: A Galactic Spectacular." When you visit Disney World you can find unique, "park only" Star Wars merchandise at Disney's Hollywood Studios including mini collectible figures, Vinylmations, themed Disney pins, Darth Tater (Mister Potato Head with a makeover from the Dark Side), Jedi Mickey and friends stuffed animals and figures, "Star Wars" artwork and prints, and "Star Wars" clothing, costumes, and accessories. Including scenes from Rogue One: A Star Wars Story, this new live-action show immerses audiences in all the action of the franchise, where all of your favorite characters take to the stage to reenact some of the biggest moments in the series. This new, all-ages show runs multiple times daily, and your Star Wars fan won't want to miss a chance to see some of the great big-screen characters come to life in Star Wars: A Galaxy Far, Far Away.